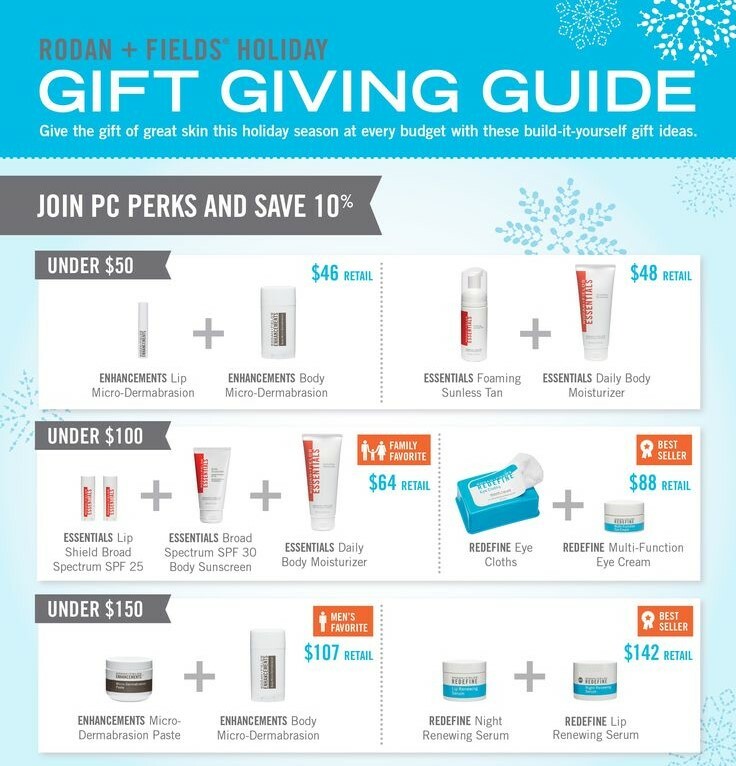 The time is here to start thinking about the holidays… Why not Rodan and Fields? It’s November already. The mountains received some snow over the weekend and we’re about to winterize our garden. Yesterday, while at the grocery store, my family and I noticed a lot of holiday stuff everywhere. Even the kids asked, “why are all the Christmas decorations out?” Well, truth be told, even if you aren’t ready, the time is here to start thinking about the holidays. My first question for everyone is are you ready for all the photo opportunities with amazing skin? I personally have put myself in the photographer position for too many years and want to make sure I am part of the family memories in the photos this year! I’ll be the first to admit it, I tend to look at my imperfections whenever I am in a photo. Chances are, you do too. But we all know that isn’t always the case whenever someone else looks at a photo with ourselves as one of the focal points of the image. They might not see any imperfections, but I want to make every effort to remove any chance of someone seeing what I see. The next question I have for you is to think of someone else who you want to treat to amazing glowing skin. Like my story above, does your mom or sister shy away from the camera as well, or does your hubby need a little pampering but would never be caught using “your” skincare products? 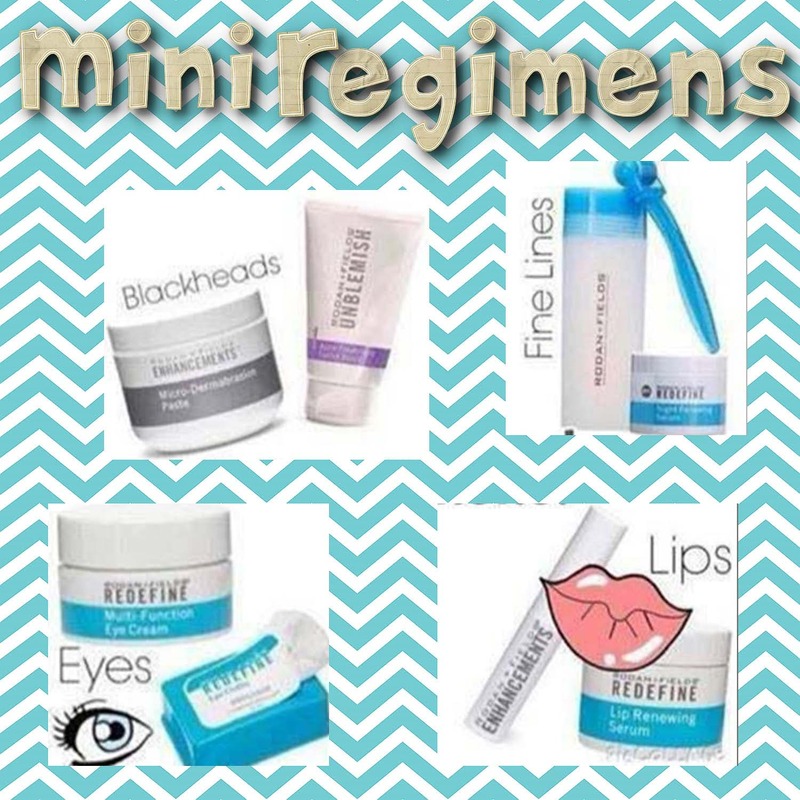 If you can think of at least one person, including yourself, who needs a little pampering this holiday season, consider these mini regimens from Rodan and Fields to combat some of the most common skincare problems, including blackheads, fine lines, dry & cracked lips, or puffy eyes with fine lines. 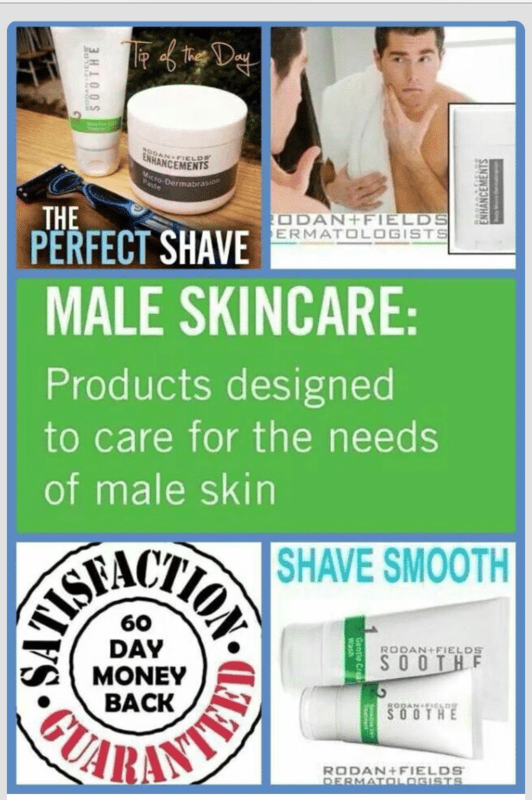 We also have some great recommended products for the daily shaving routine (*hint, hint, for all those men in your life out there). 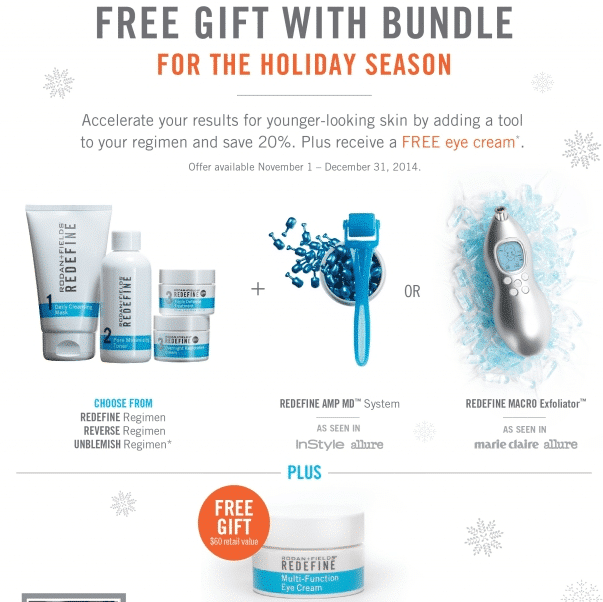 For yourself, take advantage of our holiday special – order a regimen (Redefine, Unblemish, or Reverse) with either an AMP Roller System or Macro Exfoliator and receive a free Redefine Multi-Function Eye Cream. Not only do you save 20% on your bundle, plus 10% for PC Perks Customers, you get the Eye Cream (a $60 value) for free. So treat yourself this holiday season with glowing skin. One way to save even more this holiday season is to take advantage of our PC Perks program. For less than $20 (a one time fee) you get 10% off on all your products, free shipping on your regularly scheduled orders, inside access to the Doctors, exclusive promotions (like our recent Acute Care Flash Sale) as well as access to the nursing staff and a special customer service line. For the perfect shaving routine we recommend Soothe Gentle Cream Wash, Soothe Sensitive Skin Treatment and the Micro Dermabrasion Paste. For some additional gift giving ideas check out the flyer below.